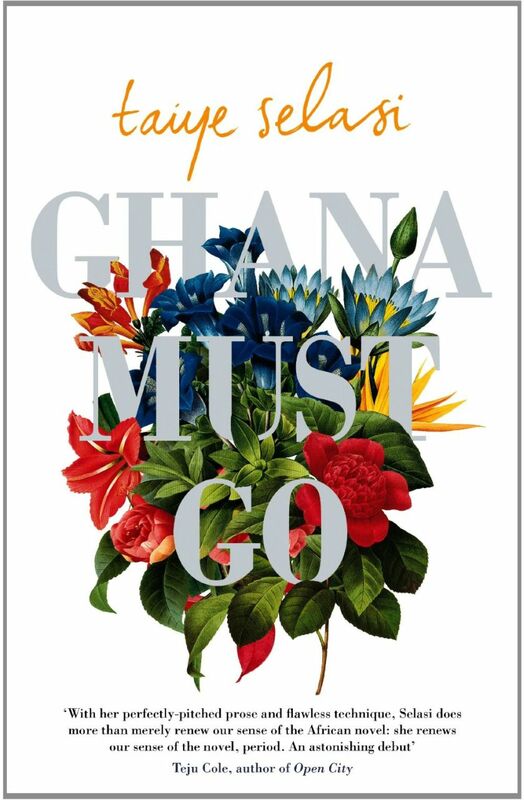 Ghana Must Go starts with a death. Kweku Sai, an eminent surgeon who years ago suffered a professional failure, walks through the courtyard of his home and has a heart attack; each pang causes him to remember an episode of his life and how he got to where he is now. After his death, we take up with his family and learn about how the consequences of Kweku's actions impacted his wife and children. What I liked most about this book was that it was a story of immigrants, but it was not a typical immigrant story about people having trouble assimilating into a new culture and trying to balance the motherland and the new land. It's more about people dealing with the consequences of trying to live up to a certain lifestyle or a expectation of what their lives will be and coming up short. We continue to hear about the American Dream and what an inspiration it is to people who want to come to the US. But as Ghana Must Go makes clear, this dream is hard to accomplish. And it's even harder to keep the illusion alive when you feel like you've failed. Ghana Must Go is about all of the screens and lighting effects and doctored, filtered selfies we set on our lives, trying to make them seem much more pristine and perfect and happy than they ever are. But underneath all that, we are all insecure and feel like we are never quite good enough or smart enough or pretty enough or ambitious enough. It's a coming-of-age story, five times over, told in such beautiful language it feels like poetry. The only issue I had with this novel was how pat the ending seemed. For so much of the book, there was SO MUCH BUILD-UP about what happened in people's lives to make them insecure or bitter or angry or whatever monster it was they were dealing with. But then it seemed like Selasi neared the end of her story and wanted a happy ending for everyone, so she quickly wrapped everything up and made sure that at the end of the book, everyone felt happy and positive and ready to start fresh. Considering the emotional upheaval that so many of the characters dealt with for so much of their lives, this felt like a serious cop-out to me, and I wish Selasi had given the "cure" as much attention and respect as she gave to the problem itself. But the act of reading itself was a pleasure with this book, so I didn't mind the ending quite as much as I might have otherwise. The language was so beautifully phrased, the cadence so lovely, that it was sad to near the ending. Definitely an author that I will be watching in future; I hope she writes many more novels, and that each word of those novels is as perfectly chosen as the words in this one were. I thought Ghana was somewhere in the book! I've always been on the fence about this book but if you enjoyed it, it's going on my tbr list. Google reports that the title is because Ghanaians were expelled from Nigeria in 1983. Apparently Ghana expelled Nigerians from Ghana in the 1960s and I guess it was payback. I don't know how this relates to the plot, I can only report what Google told me. I'm so pleased you liked this! It's on my radar and your review makes me think I should read it sooner than later. Very true, especially after reading A Fine Balance. I can admire a happy ending, but I know exactly what you mean about an ending being too pat; that always leaves me feeling very uncomfortable. It just didn't feel true to the story and the character journeys, which is what bothered me. I have to admit this is the first I have heard of this book. I guess I missed lots last year! Nah, you know way more about books in the news than I do! I loved the book, too. What struck me most about it was the theme of needing to be perfect. That's an feeling I recognize all too well even though I am not an immigrant anywhere. The father was from died in Ghana and the family all went back there. The twins had lived with the mother's relatives in Nigeria for a time. African bloggers explained that people from Ghana worked in Nigeria and carried a certain kind of bag. The Nigerians wanted them to leave and said "Ghana must go," and that became the name of the distinctive bags the migrants carried. What I still don't really understand is how that applies to the book. Maybe the theme of never being good enough? I'd love other suggestions. Yes, I don't quite understand how the title works into the theme at all, either. It just doesn't make sense to me. This sounds like a very interesting read - and thanks to your readers who have given some insight about the title in the comments!